Han Solo | Cinema, etc. Well, here it is. The new Star Wars film. The first film in the series for a decade. The first good film in the series for three decades. Well, that’s what we’ve all been hoping for anyway. But once the lights go down at the cinema and everyone settles in, there’s nothing the hype train can do about it except sit back with everyone else and hope it lives up to the hype. So does it deliver? For me, the answer to that is a resounding “Yes”. From the opening crawl, it sets its stalls out on a far more approachable basis than the prequels. It’s quite basic really. Luke Skywalker (Mark Hamill) is missing. There are two groups doing everything they can to locate him: the evil First Order, borne out of the remnants of the fallen Empire; and the Resistance, a military operation led by General Leia Organa (Carrie Fisher) and backed by the Republic. 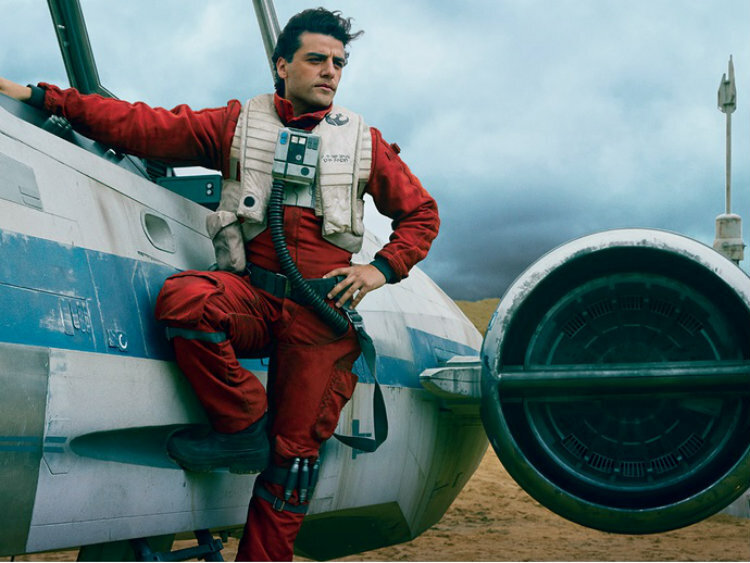 As the action opens on the planet Jakku, we see starfighter pilot Poe Dameron (Oscar Isaac) on a mission at the behest of Leia, meeting with old ally Lor San Tekka (Max von Sydow). Tekka gives him information about Luke’s whereabouts moments before the First Order arrive and start wiping out everything in sight. It is a brutal opening sequence. Shortly after storing the information in a small droid called BB-8, Poe himself is captured and taken in for heavy-handed interrogation by the sinister First Order leader Kylo Ren (Adam Driver). 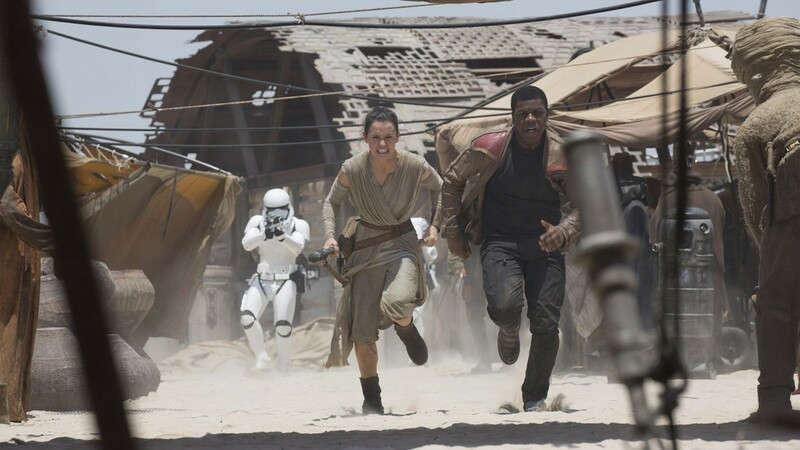 BB-8, now stranded on Jakku, is befriended by scavenger Rey (Daisy Ridley) and they are subsequently joined by defector stormtrooper Finn (John Boyega) and set off on a fate-driven mission to get the plans into the right hands. Vast and expansive contribute to a wholly immersive experience. Whilst The Force Awakens is not a perfect film, in comparison to the prequel trilogy it is a breath of fresh air to the extent that any shortcomings can be overlooked. The things that J. J. Abrams has got right here are enough to ensure its popularity will be maintained for years to come. The most immediate element of success is one that directly combats one of the biggest criticisms of the prequels: the real-world setting. One of the great shots of the opening third of the film is the first time we see Rey. Having scavenged the inside of a derelict ship, she steps out into the open desert planes of Jakku, then slides down a large sand dune on a creatively-fashioned slide mat towards her Landspeeder. This shot achieves several things. Firstly, it underlines her solitude by showing her to be a small spot in such a vast open space. Secondly, there is an implied playful innocence in the way she slides down such a huge dune. Thirdly, it plants the action very much in a palpable and believable setting. This scene is also the first time the action is truly slowed down after the action of the opening sequence, forcing the viewer to take stock of what we’ve already seen and be immediately awed by the spectacular landscapes. It is a long time before there is any obvious CGI in the film, particularly the characters inhabiting the screen. In direct response to the negative feedback for Episodes II and III, and the remastered editions of all six films where everything was perceivable ruined by over-zealous use of computer imagery, this is kept to the bare minimum for as long as possible. Indeed, when it is used, it feels like a juxtaposition against all the other good work seen throughout. 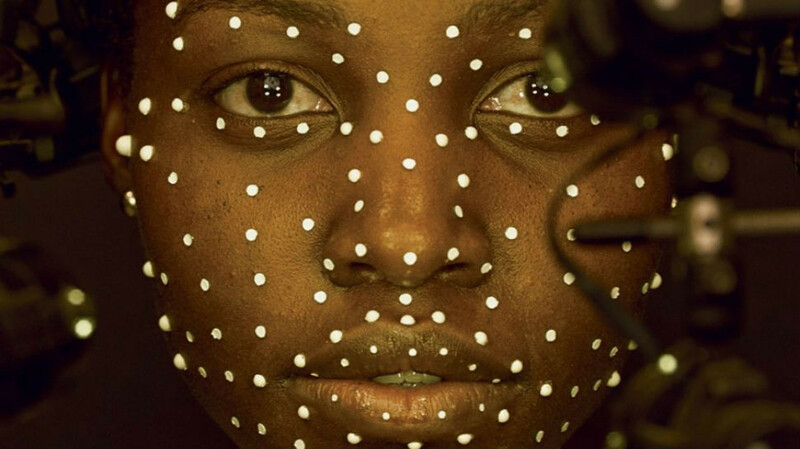 In particular, the character Maz Kanata (Lupita Nyong’o) is as a real let down. Here we have an Oscar-winning actress in a small but critical role and they’ve needlessly realised her with computers when her diminutive size and colour seemingly have no relevance to what her character is doing. My guess is that they were going for a new Yoda-type character and got lost along the way. 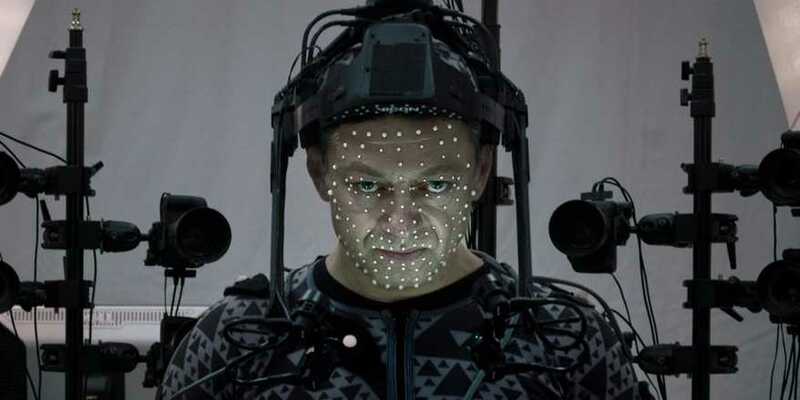 Similarly, there was a definite feeling of disappointment when Supreme Emperor Snoke first appeared – it felt like something we’d seen previously in the Marvel Cinematic Universe and lacked the sort of dread we were being showered with by Kylo Ren. Which brings us nicely on to the next point. If any of the performances needs to be singled out for excellence, it has to be Adam Driver as Kylo Ren. Sinister and powerful from the start, Ren’s emotionally unstable and rage-filled actions are a real highlight, revealing a side to Driver’s acting ability little-seen before. There is almost nothing to like about him, which is perfect for such a pivotal villain. When he showed his emotional frailties towards the end of the film, before making an about turn and doing that thing, it really packed a punch (no matter how much we thought it might happen). It puts the likes of General Grievous to shame. 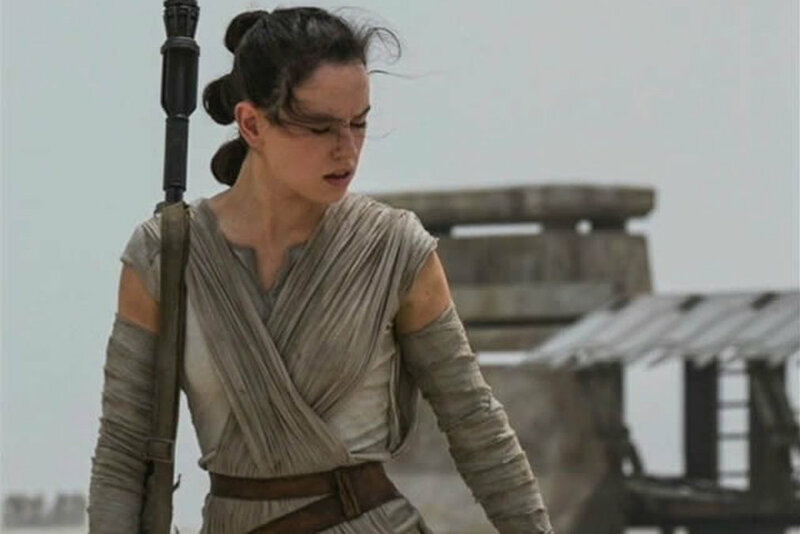 Another star performer is Daisy Ridley, in her first cinematic role of note. It can’t be easy to step into a universe this large with almost no experience and deliver a performance to the standard she has achieved. She flexes the emotional depths of a character scared by her new surroundings and scarred by guilt for leaving behind her former life to pursue the adventure she has in front of her. At times cocky and mixing in humour, she is something of a blend of Han and Leia and is well placed to combat the future of her character in the next installment. Completing the trilogy of excellent performances is John Boyega, proving that this film is one for the new guard rather than those from the original trilogy. His portrayal of Finn is quite a departure from his performance as gang leader Moses in 2011’s Attack The Block, bringing in a lot more comedic aspects to the film following an intense opening sequence that gives his predicament gravitas. In the final battles we get to see both Finn and Rey fighting Kylo individually in a much rawer manner than the polished choreography of the previous six films. It’s a refreshing take and appropriate to the story, but every time a hit is landed on Kylo there was a huge feeling of achievement – an indication of the successful portrayals of all three characters. Where the film gains in pacing successes it loses its way in lacking clarity and a few presumptuous jumps in character development and inter-character relationships. 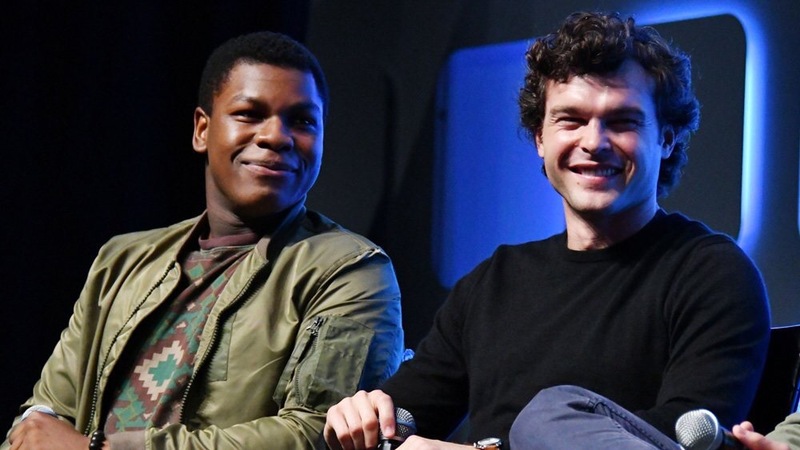 One example of this is when Poe and Finn reunite towards the end of the film. They had previously successfully escaped from the Starkiller Base, which would undoubtedly have brought them together to some extent. However, when they are reunited later in the film they act like the oldest of friends with a lifetime of shared history. It was one thing that had to be taken at face value. However, it’s difficult to compare this character development to that of the previous films. Surely once we have seen the next two installments of the main storyline their relationships will grow further and therefore this won’t seem so over-friendly. If the compromise is that we got to see a tightly-packed and intensely entertaining action film, then it’s an agreeable trade-off. The biggest criticism the film should expect will come from the biggest fans of the original. The way this film deals with the Force is bound to upset a few people. It took Luke a whole film to develop his Jedi powers in The Empire Strikes Back. Anakin took an entire trilogy. Both were at the side of two great Jedi masters. 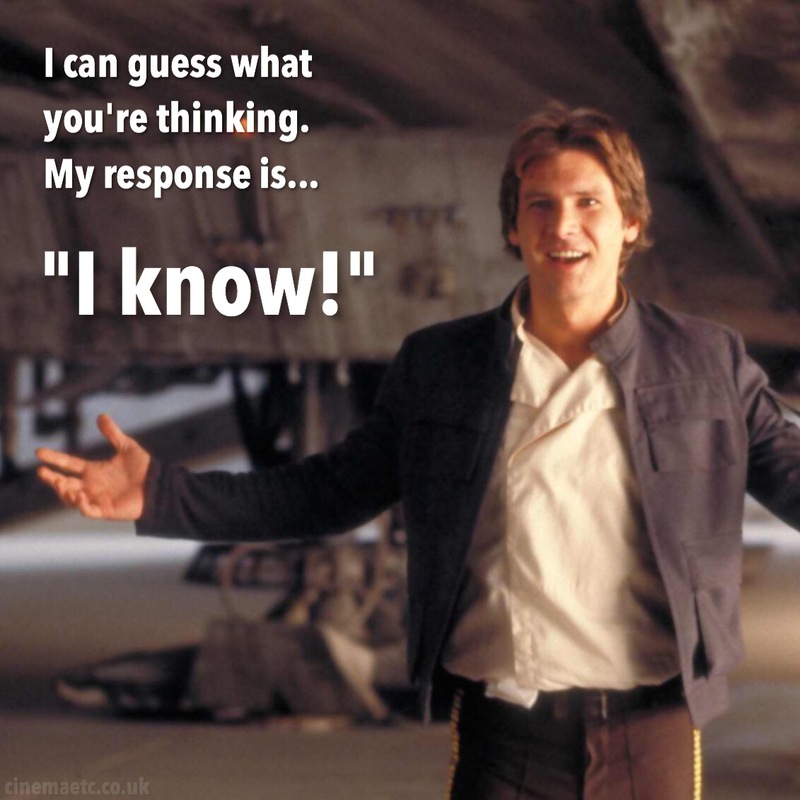 In this film we’re being asked to accept that Rey was able to gain this knowledge and understanding… how, exactly? Just by touching Luke’s lightsaber? It’s bound to be seen as disrespectful to the franchise but to develop properly the film needs to find its own space to breathe. This route was far more convenient to create a fast-paced finale. These are minor criticisms of a film that will inevitably be over-analysed forever more. They shouldn’t detract from the overwhelming feeling of joy I had when I left the cinema. The film finishes on a cliffhanger,with a hugely rewarding two hours tying itself together to a reasonable position before dangling a thread of things to come for our main hero Rey. 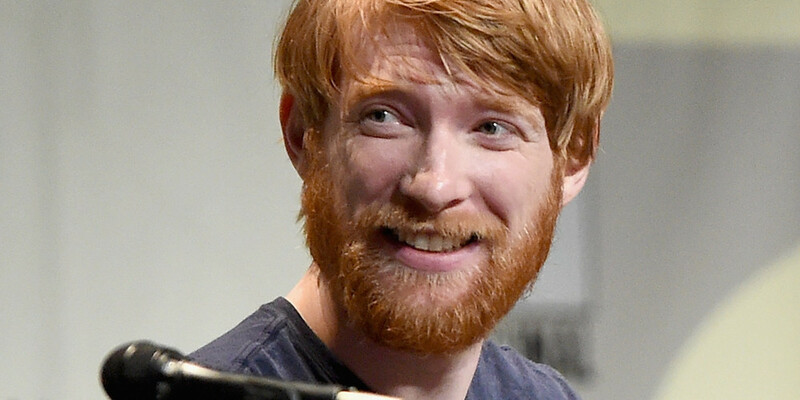 J. J. Abrams has managed to pull off a minor miracle. In just over two hours he has erased most of the memories of the prequel trilogy, reminded us of the best of the original trilogy and set up a new storyline that has the whole world anticipating where the next steps will take us. The prospects for the future of the franchise all of a sudden look extremely rosy. 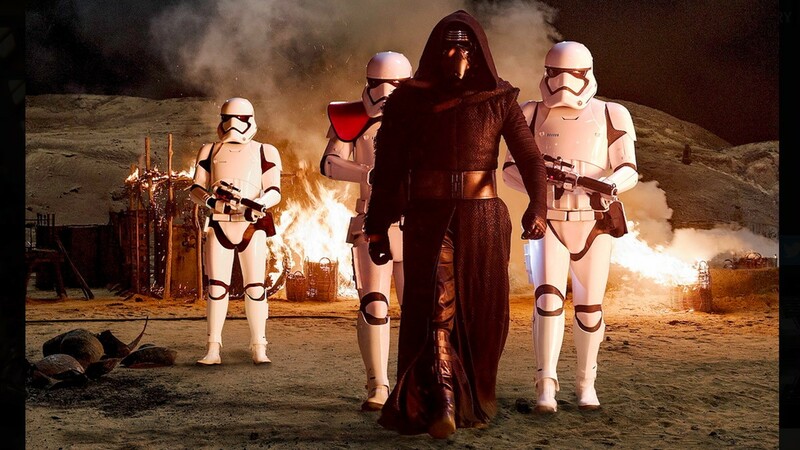 The Force Awakens is showing at cinemas worldwide for the foreseeable future. 3D IMAX is well worth the additional price to experience the full effects of the Force.